Go back in time when you journey to the UNESCO World Heritage city of Hoi An on Vietnam's central coast. This charming little village weaves along the canals and reflects a time of old. At every turn be delighted by traditional architecture from around Asia to reflect it's history as a bustling port town. The car free streets are lit with lanterns and it buzzes with the atmosphere of markets, restaurants, bars and tailors. Take advantage of the Free bike hire to explore your surrounds like a local. Your visit coincides with the Hoi An lantern festival, this lively gathering of locals is an age old tradition where they honour their ancestors and invite prosperity by releasing lanterns on the river, laying flowers & offering performances. On the evening of the full moon we dine on the river and soak up the atmosphere. 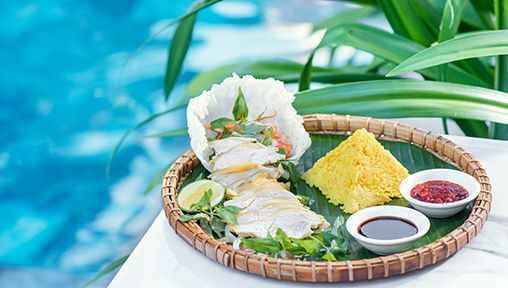 Learn to cook authentic Vietnamese cuisine at the world renowned Ms Vy's Cooking Class, we'll take a boat trip to the colourful central market where we'll watch and be involved in many cooking demonstrations followed by a 2 hour cooking class and lunch. Visit An Bang beach, one of Asia's most beautiful beaches as voted by Trip Advisor just 3km away, 4 Daily shuttles from the resort make this an easy trip. 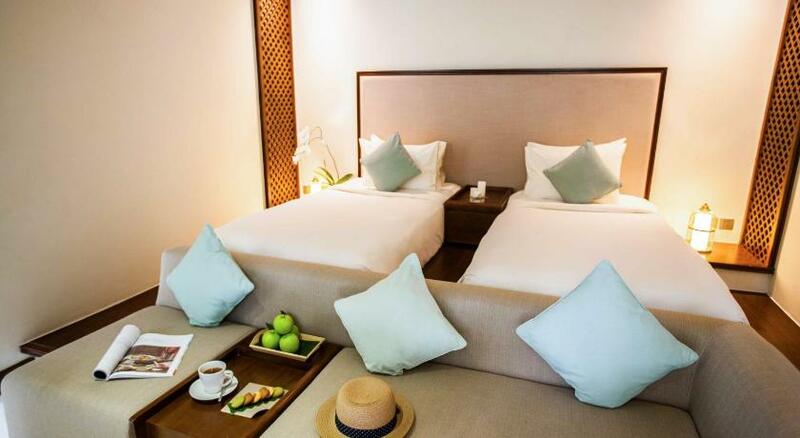 Airport - Da Nang International Airport is a 40-minute drive away from Almanity Resort and Spa. The resort is an easy 1km walk to Hoi An Ancient Town.